Are the new tobacco ads reaching the youth? After 11 years of appeals, Big Tobacco companies were ordered by the federal court to inform the general public about the dangers of smoking. 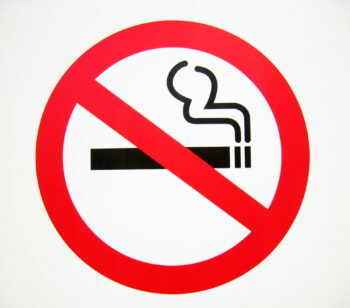 The anti-smoking ads were released in late November and appear in newspapers and television as black text on white backgrounds. The five ads address the adverse health effects of smoking, the addictiveness of smoking and nicotine, the lack of significant health benefits from smoking low tar/light cigarettes, manipulation of cigarette design and composition, and the dangers of exposure to secondhand smoke. The ads are a major step in the right direction to ensure transparency regarding the health risks of cigarettes. However, much has changed throughout the years and these TV and print ads will most likely miss the young adults who have a tendency to use online social media sites and streaming services like Facebook, Netflix, and Hulu. Despite cigarette ads being banned from television and radio since 1971, the industry still manages to find ways to advertise. “Recently, I was at a bar in Minneapolis with a group of friends and we were approached by a tobacco spokesperson. They offered each of us a free box of cigarettes if we signed up on their mailing list,” said Paula Jimenez, AmeriCorps VISTA volunteer at WellShare. Tobacco companies continue to use bars and clubs as venues to promote smoking and target young people. According to researchers, drinking and smoking are activities that often occur together, therefore, the promotion of smoking in bars and clubs is, unfortunately, effective. Alcohol may trigger a craving for nicotine, and reduce a non-smokers inhibition to try. Social smokers, as well as those in the early phase of smoking and former smokers, may be vulnerable to relapse. Do you think these ads are compelling? Leave your comments below.